S-VHS and PCM Hi8mm Camcorder tapes. Reformat - transcoding digital content to the customer specified DVD or Blu-ray Disc image and placing on selected disc output. Each playable disc is given a chapter menu with motion icons for each 20 minutes of content. Customization is available for onscreen titles, digital noise reduction, color correction, etc. Each video tape becomes it own optical disc (1-to-1). Resolution of the video content is dependent upon original video tape, whether recorded originally in standard definition (720x480i or 640x480i) or high definition (1280x720 or 1920x1080). Blu-ray discs are recommended for high definition data files such as contained in HDV or HDCAM tapes. Label - the optical discs are labled per customer instruction. QC inspection - each optical disc is quality control inspected prior to return shipment. After payment, deliver discs and source media via UPS. We can return original source media with new optical discs, or with customer's approval, hold off return of video tapes until customer has reviewed and approved the new discs. 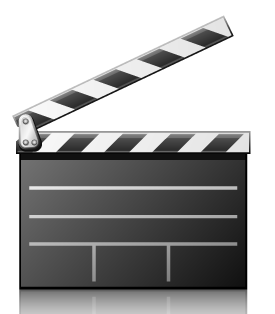 Optional - during the transcoding, create an MP4 file copy of the video tape(s) and return the new digital file via emailed Web download links. All completed orders are saved in internal network storage for 90 days, for protection against loss, need for further editing, and need for copies. Benefits of this service are the modernization and preservation of your business video library for the long term. Optional items that are also available for purchase: repair of broken tapes, onscreen titles, digital noise reduction, color correction. If you have a custom situation, please write us at websales@cintrexav.comor call us at 800-325-9541. Typical turnaround for 10 broadcast tapes is 2 weeks We can turnaound an average of 100 tapes per month on larger jobs. Quantity discounts begin with orders of 25 tapes or more. Payment: Via credit card after order completion. We do not charge or authorize payment against your credit card until order is completed and ready for return shipment. Shipping: Shipping is free for orders valued at $100 or more The Shipping & Handling charge for smaller orders is $10 for orders valued at $50 to $99, and $25 for orders valued less than $50. After order checkout and arpproval, we will provide a link to print off a UPS shipping label for attachment to your package of tapes coming into our lab. From Steve Hunter of Mount Vernon, Washington on 5/17/2017 . From james Moore of Rochester, New York on 3/17/2017 . unable to review it as I turned the unopened delivery package to the client as is. From Robert King of Delhi, Iowa on 7/8/2016 . Excellent service and recording of my Umatic 3/4" video cassette. Surprised I could still find a service that would be able to do this. Excellent copy considering it was copying my 1977 television quality. Fast service also. Thank you.